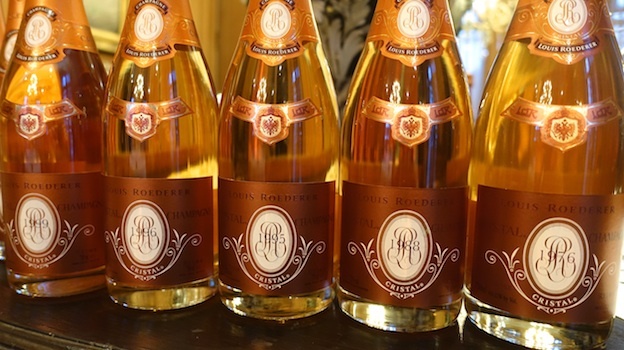 This recent vertical of Cristal Rosé was remarkable for so many reasons. The wines were absolutely brilliant throughout. Two vintages, the 1995 and 1996, mark the first official releases from Roederer’s new Late-Disgorged program. Above all else, though, I was deeply impressed with the singular personality of Cristal Rosé, something that came through loud and clear in every bottle. Although this tasting spanned just nine vintages, Cristal Rosé has built an enviable track record over the years, making it among the most – if not the single most – consistently outstanding Rosé Champagne in the market. Roederer is one of the beacons of quality in Champagne. Naturally, the flagship Cristal and Cristal Rosé get most of the attention, but year in year out, the Brut Premier is one of the best Champagnes in its price range. Unlike most of the grande marques, Roederer is family owned and remains on the smaller end of things relative to its peers. There is a decidedly human scale at Roederer that isn't always evident in Champagne. Cristal boasts a rich lineage that goes back to 1876, when Czar Alexander II asked Roederer to create a special luxury cuvée bottled in clear crystal. In 1971, proprietor Jean-Claude Rouzaud, who made the wines at the time, began experimenting with a Rosé version of Cristal. The first commercial release, the 1974, followed a handful of years later. 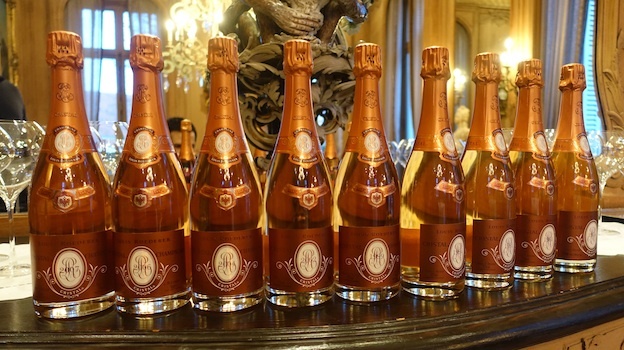 Unlike most other grande marque Champagnes, Cristal Rosé has been made from the same 100% estate owned vineyards from the beginning, which is one of the reasons the wines follow such a precise stylistic line from vintage to vintage. The typical blend is 60% Pinot Noir and 40% Chardonnay. The Pinot Noir emerges from the Bonotte Pierre Robert lieu-dit in Aÿ, and is vinified with light skin contact (saignée), which is unusual among grande marque Rosés, most of which are made from blending still Pinot into a base blend. The Chardonnay is sourced from Montmartin in Mesnil-sur-Oger and in Pierre Vaudon in Avize. By the late 1980s, Rouzaud knew he needed a long-term successor to run the winemaking side of the house. In 1989, Rouzaud visited the École Nationale Supérieure d'Agronomie in Montpellier, with the goal of hiring the school’s top graduate. That year, Champagne native Jean-Baptiste Lécaillon became only the second student in the university’s history to graduate at the top of his class in both Oenology and Viticulture. Rouzaud promptly sent his new recruit to California for a year, where Lécaillon spent time at Roederer estate in Anderson Valley before returning to Champagne for the 1990 harvest. A three-year stint in Australia followed, during which Lécaillon ran Roederer’s project in Tasmania. Lécaillon returned to Champagne for good in 1993 and became Roederer’s Chef de Caves in 1999. The mandate was simple: to make the best Champagne possible. Lécaillon responded by asking for full control of both the cellar and vineyards, virtually unheard of in Champagne at the time, a request that was granted. From 1993 to 2005 Lécaillon also oversaw the Rouzaud’s family Bordeaux properties before the acquisition of Pichon-Lalande led to an increase of personnel based locally. Biodynamic trials started in Champagne in 2000. Lécaillon took some of his larger vineyards and divided them into parcels of equal size farmed according to conventional, biologic and biodynamic principles. Many of those trials are ongoing. By 2006, all of the Pinot Noir for Cristal Rosé came from biodynamically farmed vineyards, while the 2007 is the first Cristal Rosé made entirely from biodynamically farmed fruit. Lécaillon observes that the main takeaway from vineyard trials is that fruit from the biodynamic parcels is much more aromatic, while sugar ripeness is achieved earlier, and therefore, with higher levels of acidity and lower pHs than in the past. The non-malo style, along with a focus on biodynamics has led to wines that have a tendency to be reductive in the cellar. As a result, winemaking has evolved and the musts are aerated more often than before to make sure the wines are getting enough oxygen during vinification. 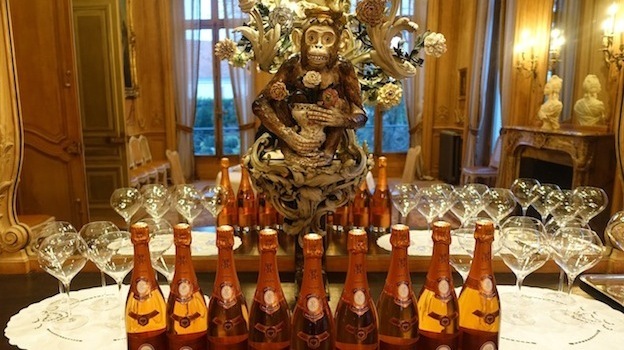 Cristal Rosé is mostly fermented and aged in steel, although about 15-20% of juice, usually Chardonnay, sees some oak. Dosage has come down to 8-9 grams per liter as opposed to around 13, which was the norm some years ago. According to Lécaillon, biodynamically farmed parcels yield fruit that is naturally balanced. In the past, sugar was often added to cover natural acidity in the wines, but when the acidity is better integrated, the wines need less sugar. Most importantly, though, the wines in this tasting are absolutely brilliant. Cristal Rosé is hard to find and expensive, but it always delivers the goods. My only critique is that both Cristal and Cristal Rosé are released too early, which means their true potential and overall quality level isn't always apparent until a few years later. With time in bottle the wines really soar, as this vertical makes abundantly clear.